Baking and Mistaking: Cookbook Giveaway! Hello fellow dessert lovers! This Saturday, January 22, is a momentous day. An important occasion. A day that will go down in history. That's right, this weekend marks the SECOND anniversary (bloggiversary) of Baking and Mistaking. I survived two years, 223 posts, over 60,000 visits and more baking flops than I care to remember. The celebration will continue later this week with a roundup of my recipes past that you must. make. now. - but right now I'm offering you a chance to win a copy of my absolute FAVORITE cookbook in honor of the occasion. 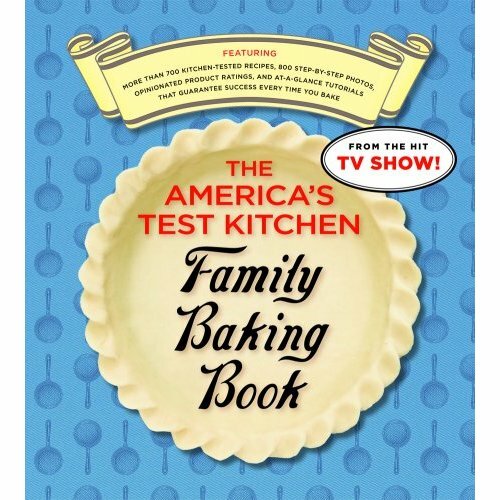 The America's Test Kitchen Family Baking Book is great for so many reasons - not the least of which is its being chock-full of recipes for complete amateurs as well as more experienced bakers. I've already whipped up Nectarine Raspberry Pie, Lemon Squares and Oatmeal Fudge Sandwich Cookies, and a whole bunch of others - and I'm just getting started. Plus I love how the 3-ring binder design allows it to sit flat on the counter while I run around the kitchen looking for ingredients. Genius! This contest is only open to residents of the United States. 1. Leave a comment on this post telling me what city/town/village/hamlet you're visiting from. 2. Follow me on Twitter, then come back and leave a separate comment with your username. If you already follow me, just let me know that. 3. "Like" me on Facebook, then come back and leave a separate comment telling me that. You can do one of these, or all three - but leave a separate comment for each. Please do not comment under "Anonymous"! I can't send a book to somebody I can't identify. The contest is open until 11:59 p.m. on Sunday, Jan. 23. The winner will be announced on Monday. Tell your friends to enter! Or don't, because then they might win and you'll be mad. Disclosure: This giveaway is sponsored by me. 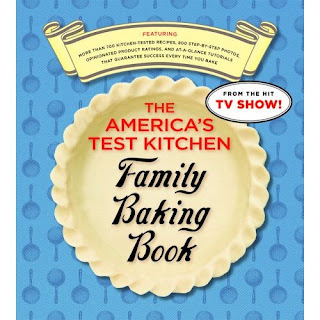 America's Test Kitchen does not know who I am. I wish. I'm visiting from New York! I really enjoy your blog and visit as much as I can! I visit from Rio Rancho, NM or Albuquerque, NM (depending if I'm at home or at work, respectively). And I "like" you on Facebook (Megan Harmeyer). I'm visiting from Los Angeles, CA. I'm following you on Twitter (ps152). Your blog's anniversary is my birthday!! And I'm visiting from NYC!! I'm hoping a US address works? I am visiting from Tampa, FL! I am visting from Coalgate, OK. A very small, small town. like you on facebook. like you on twitter. like you in my own house. Here in Springfield IL we love your blog! I'm visiting from South Bend, Indiana. I'm here in the Florida Panhandle. Columbia, MO and @litcritter following you on Twitter. Visiting from the hamlet of Attlebury. I'm visiting from King of Prussia, Pennsylvania (no, really, that's the real name of the town). I liked you on FB. :o) I love to bake!! I am from Nebraska, USA. Hello, I come to you from West Jordan, Utah. Home of the "Greatest Snow on Earth!" ...That's what they say, I'm actually from Arizona and just think it's bloody well cold! Hey there, I'm visiting from Tempe, Az. woo hoo!